This entry was posted by Ryan on July 28, 2010 at 9:09 pm, and is filed under Podcasts, TV. Follow any responses to this post through RSS 2.0. You can leave a response or trackback from your own site. Thanks for putting this up. I couldn’t make this panel and love Fringe! Told you that you would love this show! Have you seen season2? Yes, thanks to @JWatari, we were able to catch up with the show (through Season 2) before going to Comic-Con. We can’t wait for Season 3! I loved listening to The Transmission and your thoughts about Lost. I am really going to miss the show, but I am very excited about Pop Spotting. 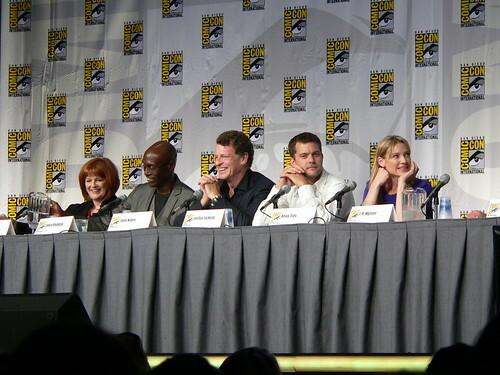 I am a fan of Fringe and loved hearing the Fringe panel from Comic-con. Thank you so much for recording and podcasting it. I am looking forward to more Pop-Spotting.